Nuala Creed, born in Dublin Ireland, moved to the US as a young adult. 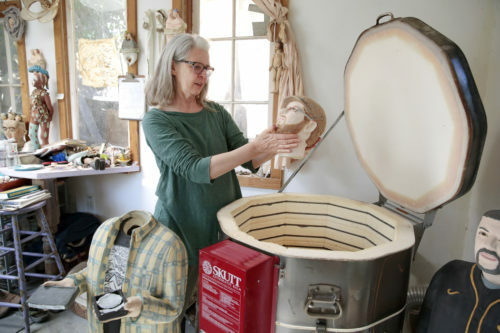 In her late thirties she took her first clay class and was seduced by it. In 1999 she earned a BFA with high distinction from California College of the Arts. Since then her work has been exhibited both nationally and internationally, in Ireland, Italy, Finland, France, Hungary and Korea. She has received many awards for her work, which is represented in both private and public collections, such as National Museum of Ireland, Dublin, the Pro Artibus Foundation Collection, Finland, and The Design and Craft Council of Ireland, Kilkenny, Ireland among others. 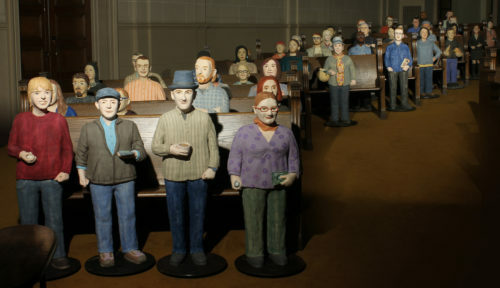 For the past eight years she has been working on a collection of ceramic figures for the Internet Archive in San Francisco. To date there 130 of them exhibited in the Great Room of The Archive. 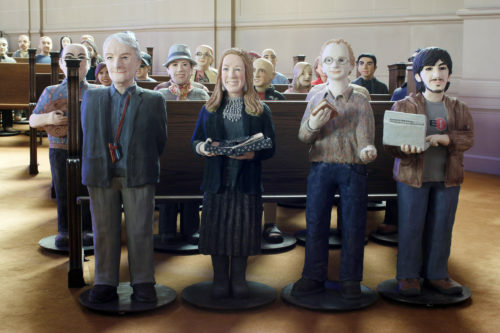 Last year there was an exhibit of 32 of these sculptures at Loyola Marymount University in Los Angeles, which received a favorable review by the Getty Museum Magazine. Ceramics Ireland, and China Art Ceramic Magazine, in China. Nuala has completed five public murals.